"An indispensable element of sustainable human development is access to energy." I have received permission to share that paper here. It seems appropriate now as Ontario's emissions hit record lows, but that appears likely to be short-lived as the province's electricity system operator gears up to acquire more natural gas capacity as the government continues to contract wind and solar generation. A review of Ontario’s electricity mix over the past two decades provides lessons for future electricity supply planning. To sustain the level of well-being in a community and plan for the future, a historical perspective of electricity generation capacity is useful. The electricity generation mix requires a balance of generating technologies for stable and controllable amounts of continuous electricity generation. 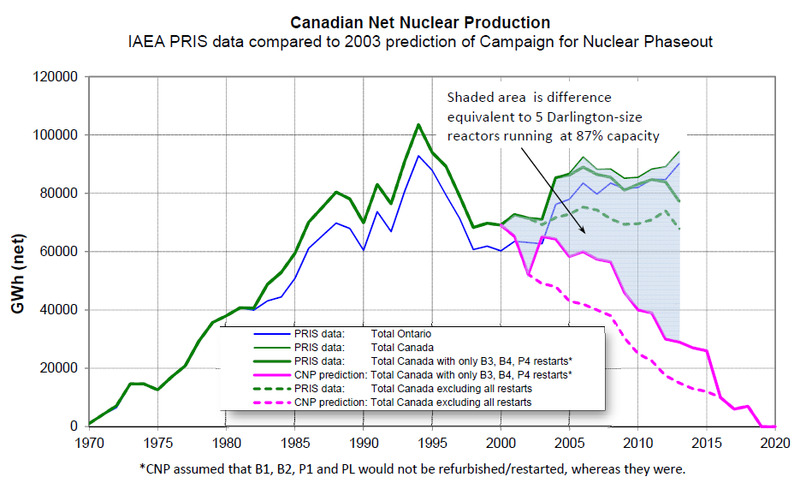 Historical records over forty years reveal nuclear energy to be a reliable baseload producer in a sea of changing supply mix and policy emphasis. As intermittent sources of generation in the electricity mix increase, the need for backup generation capacity also increases, in conjunction with maintaining a stable grid. In the electricity mix, flexible despatchable power generation capacity comes from gas and hydro, which can be brought online at short notice to meet variations in demand and generation. Within the past decade, the non-hydro renewable contribution to the electricity mix has increased in Ontario. This review determined that replacing coal-fired generation with nuclear and renewable electricity sources reduced the carbon intensity significantly. The energy (including electricity) use of a community is closely linked to the health of the economy - significant reductions in energy use occur due to global economic factors like a recession. An indispensable element of sustainable human development is access to energy. It is a crucial input to nearly all goods and services. Energy supply, sustainable development and human development are different facets of an intertwined continuum. Access to an assured supply of energy improves economic growth and household incomes, and results in an improved quality of life that comes with better education and health services. The UN Human Development Index (HDI) - a composite index based on measures of health, longevity, education, and economic standards of living - correlates strongly with the per capita electricity consumption of a society. In 2013, the HDI attributed to Canada was 0.911, placing it in the eleventh position globally. An HDI of 0.9 or higher corresponds to almost 6000 kWh per capita of electricity consumption. The full paper can be read as a .pdf .